Replacing a battery in a motion detector isn’t that complicated, but it’s something that homeowners need to know how to do. The system they have for home security can protect them very well — but only if that system is working the right way. Otherwise, it’s not going to give them what they need in order to stay protected and safe. 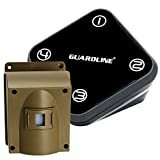 A motion detector is a big part of a security system, because it lets a homeowner know if there’s someone or something moving around that shouldn’t be there. In that case, lights or alarms can be triggered — but not of the detector’s battery is dead or failing. Then the homeowner may not know that anyone’s around, and that could lead to a break in, a theft, or other kinds of problems. For homeowners that aren’t sure about replacing their motion detector’s batteries, there are ways they can easily figure out just what they need to do in order to be successful. It’s generally not that difficult to replace the batteries in these things, and fortunately it doesn’t have to be done that often. 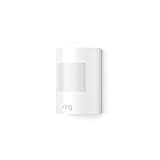 For homeowners who have a lot of motion detectors, the biggest issue may be remembering to check them all so the batteries can be replaced when they need to be. Unlike some aspects of a home automation and security system, replacing the batteries in a motion detector isn’t a complicated process. It’s much like replacing smoke alarm batteries, or even the ones in a remote control. There’s generally a door that slides or compartment that comes open. Sometimes there’s a small screw that holds the door on, and other models and types don’t have that. Either way, though, there’s an easy and quick way to get the batteries changed and move on. Even though replacing the batteries isn’t difficult, it’s such a very important thing for the homeowner to do and keep up with, in order to keep the motion detector working correctly. It’s hard to have peace of mind from a security system if all the parts of that system aren’t working the right way. By making sure the motion detectors have good batteries, risks can be more easily avoided. With a home security system, the lights on the devices can provide crucial information to the homeowner. Generally, these lights show whether everything is working the right way or whether there are problems that need to be addressed. Not having good batteries in the motion detectors is one of the problems that lights can tell a homeowner about. That will depend on the make and model of the detector, though, because some motion detectors have green lights, some have other colors, some are steady on, and some flash. Knowing the particular system is very important for the homeowner using it. For homeowners who work with a security company, help is generally available if they have questions. Some homeowners create systems on their own, though, and when they do this they may need to focus on troubleshooting things on their own to have the peace of mind they’re looking for.